We all know about rice, It is one of the secret ingredient that japanese women are using since last many years to look younger for long period of time. And today we will tell you their techniques to use rice for for facial skin. Put some cool water to heat. Add 2-3 tablespoons of organic rice and let it boil until the rice becomes tender. Remove it from the heat and strain the solution. Keep the remaining water in another bowl. Rinse the rice and add one tablespoon of warm milk and one tablespoon of honey in it. Mix until the ingredients combine properly. Make sure that your face is entirely clean before you apply the solution. Leave the mask to stay for about half an hour. 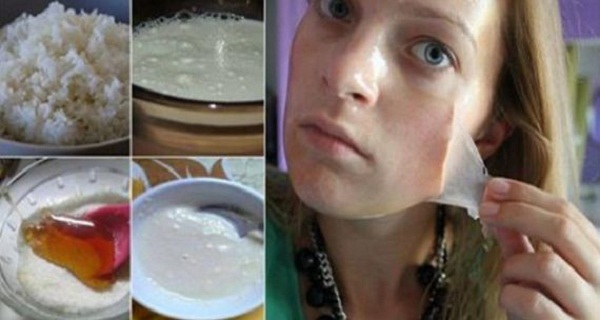 After that, remove it gently and wash your face with the remained rice water. Rice water offers numerous benefits for the skin. It is rich in antioxidants which make it a strong moisturizer, it can reduce the secretion of melanin which stops the formation of pigment stains, it can absorb ultraviolet rays, bind copper and it can also cover the existing pigment stains. Keep the rice water refrigerated up to 4 days. Do the treatment twice a day, in the morning and in the evening. You can also use the rice water in the form of ice cubes and massage your face with them.